Since Little Rock is so close to Memphis, Mike’s mother wanted to see Graceland, Elvis Presley‘s home and final resting place. We agreed to go with her because it was the only thing she really wanted to do on this trip. We stayed at the Graceland Campground across the street while they stayed at the Heartbreak Hotel. Both properties were extremely clean and well-kept. 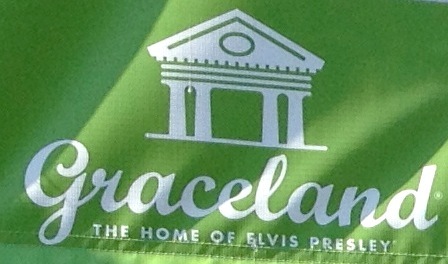 It felt like we were staying at The Disneyland Hotel, except instead of going to Disneyland, we went to Graceland. I love the site, They Kept Everything. He not only shows all the memorabilia that his grandparents had kept their whole life, he gives some explanation of what he’s showing. 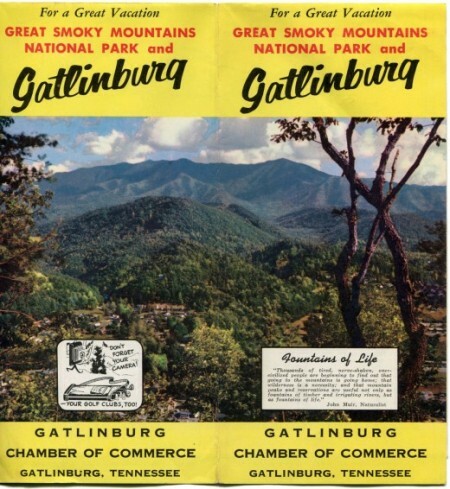 This brochure for the Great Smoky Mountains National Park, for example is a wonderful glimpse into the past. This brochure on one side totes all the benefits of visiting Great Smokey Mountains National Park, while the other side is classic boosterism. This propaganda offers some interesting insight into life 60 years ago. Jim Reams wrote a weblog of his own for years. When he decided to open his BBQ restaurant, he announced it on his weblog. Opening day he had a crowd of fifty readers at the door. See this video of Jim describing the Nashville style of BBQ and his business. With so much contention in the world, I actually feel a happy comfort with the idea that Texas and Tennessee think they understand BBQ. It’s when the Mormons learn how to BBQ green Jello that the fighting will turn ugly. Next time you are traveling, bring along a notebook and record your thoughts about the places you see. Having a record of your journeys will let you relive your trip over and over.